EVF - useful tool or work of the devil? I read a particularly luddite article by a photographic commentator in a UK magazine a couple of weeks ago, saying how unspeakable EVF's (Electronic View Finders) were. The author was someone who thinks any camera made after 1950 is the work of the devil and digital is a passing fad, but this was a particularly crass example of the "Everything was better in my day" philosophy. I find EVF's VERY useful. 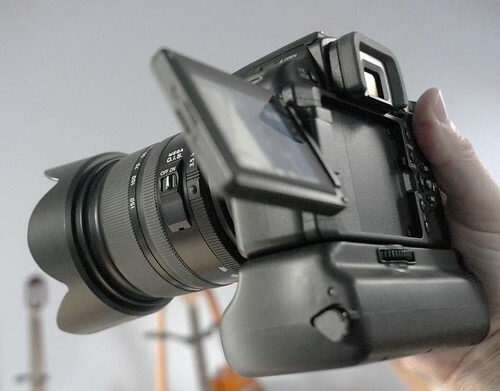 In the link I posted yesterday Michael Reichmann talks about the EVF on the Panasonic GH2. 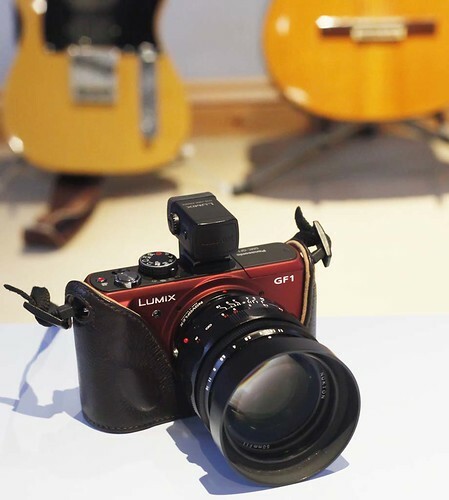 "Potentially the most controversial aspect of the GH2 is its electronic viewfinder. 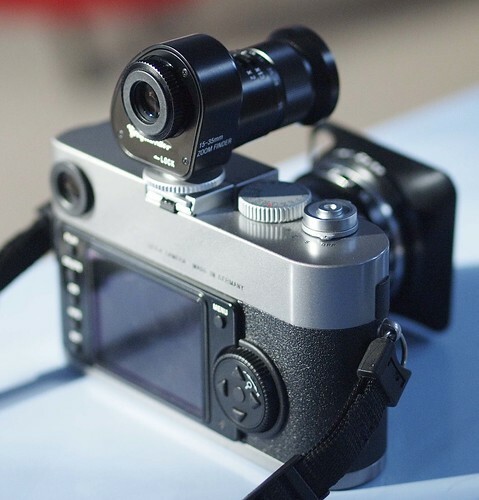 The way that MFT cameras with viewfinders achieve their small size is by substituting the usual mirror box and prism assembly for an electronic viewfinder – essentially a small video screen similar to what one finds on a video camera. Digicam EVFs tend not to be of very high resolution or brightness, but the one on the GH2 (and the GH1 originally) is very good indeed. 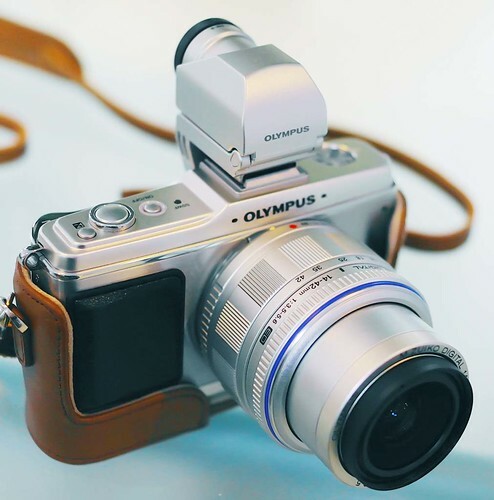 In fact, I would say that it is an many instances preferable to the dismal (meant literally) and small optical viewfinders found on the smaller and usually inexpensive DSLRs. The EVF on the Sony A55 is also very good (though I haven't had a chance to do a side-by-side comparison), and similarly I would prefer these any day to a small and dim optical reflex system, especially those on cheaper systems that use pentamirrors instead of true prisms. No – these EVFs are not as bright and clear as a good bright reflex system, especially one on a full-frame body. But, the trade-off in size and weight is considerable. Also, the ability to have display overlays, such as a live histogram, goes a long way to making this new alternative viewing system attractive. Frankly, the writing is on the wall. It won't be more than a few years until the vast majority of new camera model with viewfinders dispense with prisms and mirrors and replace them with EVFs. Get used to it. It's not that we as photographers are necessarily asking for this (though EVF display technology is getting better all the time). It's just the pressure of industry economics. Price competition is fierce. Moving mirror assemblies and glass prisms are expensive to manufacture and assemble. High quality EVFs are not exactly inexpensive at the moment, but as with all high volume silicon based products, prices will inevitably fall. When that happens mirrors and prisms will be relegated to only the high end, where users are willing to pay for special capabilities. About 90% of the time I am not displeased using the GH2's EVF. It's even possible to forget that there's anything different going on. But in low light things get a bit weird. With a fast lens (like the remarkable Nokton f/0.95) the view actually becomes brighter than reality and the final result not what one expects." While some EVF's are far from perfect, and anyone who has tried to focus a manual lens using the Panasonic one for the GF1 and GF2 will know this well, they do have many advantages over the murky tunnel vision of many APS-C DSLR's. When done well, such as in the Panasonic G series cameras they are a great help. They are still far from perfect, and while I appreciate their brightness in low light, the cranking up of the video gain often makes the image somewhat difficult to decipher. They don't like fast movement much either. However the alternatives create their own problems. If you've ever used a bolt-on viewfinder like those on rangefinder cameras and cameras like the X1, you'll know some of the problems. These are supposed to help with the framing. However because lenses change their field of view when you focus them, they are only accurate at one setting. Leica viewfinders, and indeed the frame lines in their cameras are apparently set for a distance of either 2 or 3 feet. What this means in reality is if you are taking a picture when you are focusing further than this, you will get more in the picture than the viewfinder indicates. I've learned to adjust for this, but mark this down as yet another little "difficulty" Leica users have to put up with. The Voigtlander 15-35mm Zoom finder is a bit more helpful, as I can adjust it to compensate for the framing discrepancy. If I use a 20mm lens for example then I set the finder at 18mm and that gives me a much more accurate idea of how the picture is going to turn out. I mentioned earlier about some of the problems of APS-C viewfinders. My Panasonic L10 is particularly bad. When raised to the eye the viewfinder image is both very distant and dark. In low light its virtually useless. 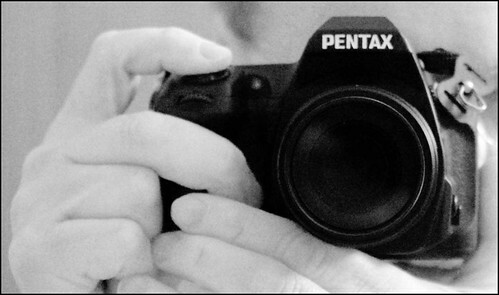 Newer cameras like my Pentax K-5 are better but still not perfect. EVF's will undoubtedly improve and indeed we see them getting better all the time. Even with their current limitations, I still prefer them over optical viewfinders. I'm also finding that I'm getting quite frustrated that my DSLR's don't have continuous live view. I've got so used to using cameras like the GH1 and GH2 where the live view runs all the time and when I raise my eye to the viewfinder it switches the image to that. Its a great system and why every camera doesn't do it, seems crazy to me. 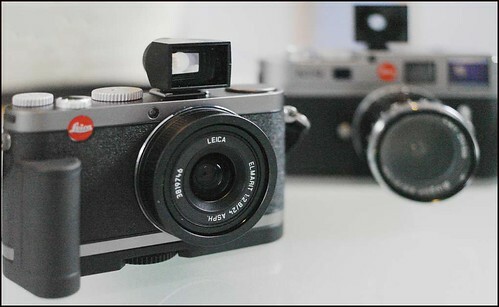 It's going to be interesting to see how the hybrid viewfinder on the Fuji X100 works. By offering both electronic and optical options it should in theory be very versatile. Fuji certainly seem to have shown other manufacturers that its possible to get a decent viewfinder integrated into a small body. Whether it does the job well, I'll report back on when I get my hands on one.